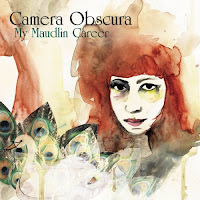 We've brought you a couple of tracks already from Camera Obscura's new album My Maudlin Career, which is available next Tuesday (April 21) on 4AD, but now you can hear the album in its entirety courtesy of NPR. I've only had a chance to listen to a few tracks so far but what I have heard I have really enjoyed. Click here to stream the new album.